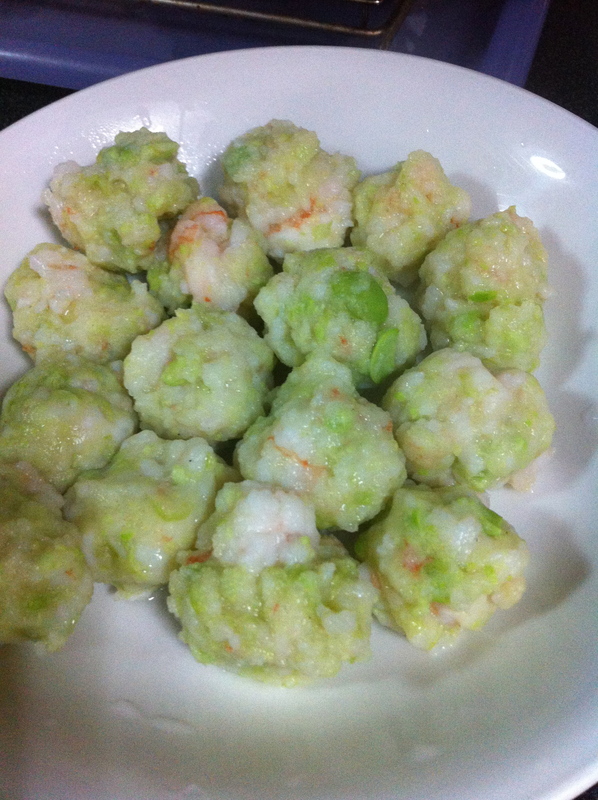 Although it looks like a lot of work to me, the Shrimp & Edamame Balls turned out to be quite easy and quick to make! Of course, I took a couple of shortcuts (as I will explain as I go along) but the end result was still good. As usual with me, I basically 4x the recipe amount. (I have a penchant for cooking large amount of food.) Shortcut #1 was that I bought ready-peeled, frozen shrimps. The usual kind that I buy was not available so I settled for the frozen shrimps that still had their tails attached. Cutting the tails off didn’t take a lot of time. The only reason why I bought those with tails is because I could not find the ones without tail! Otherwise, I would have saved myself the trouble of cutting the tail. Shortcut #2 was that I put the beans and the shrimps through the food processor instead of chopping them with the knife like what Masa did. First of all, the amount was 4x his. 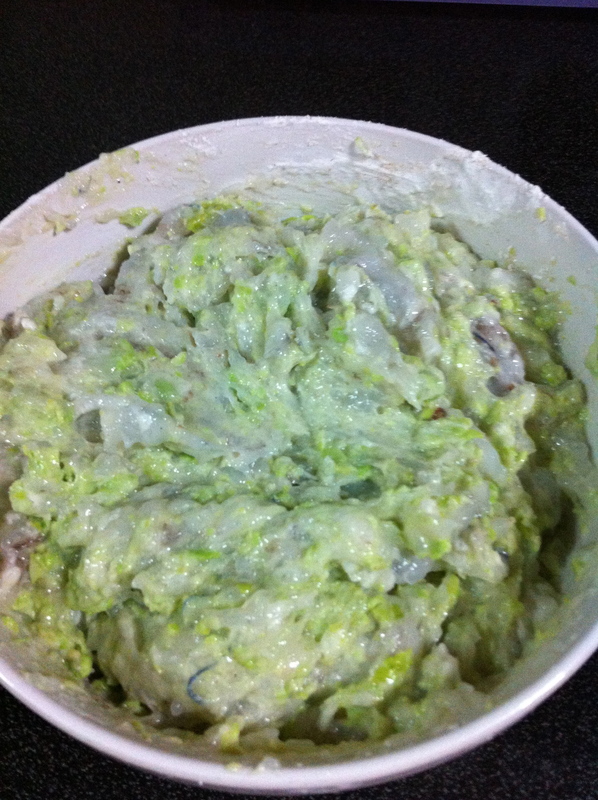 If I were to make a small amount, chopping would be easier and I would pick chopping over cleaning food processor. Secondly, I was a bit short on time. 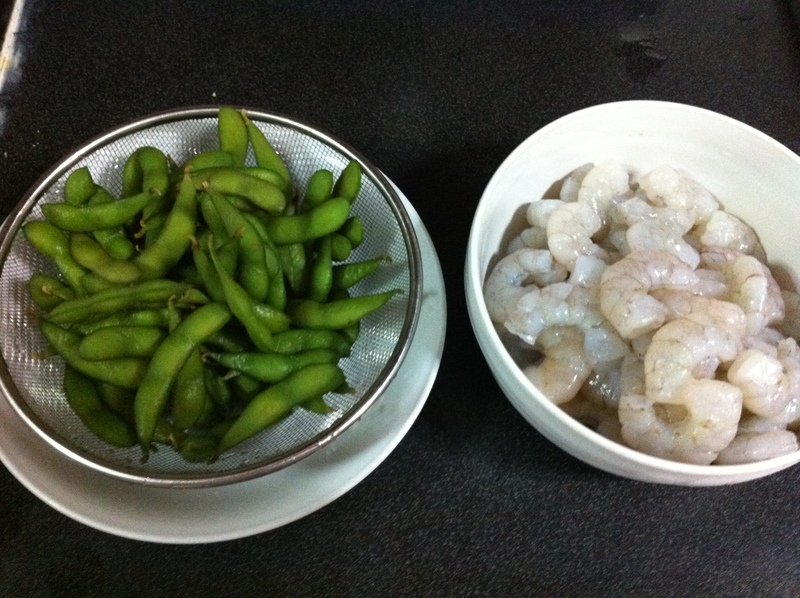 Now I only wish for ready-shelled Edamame beans so that I can take shortcut #3! Mix all the ingredients together, including the seasoning. The product is a gooey mess. Next, boil a pot of water and drop balls of shrimp ball into it. Wet hands work well for such a job. 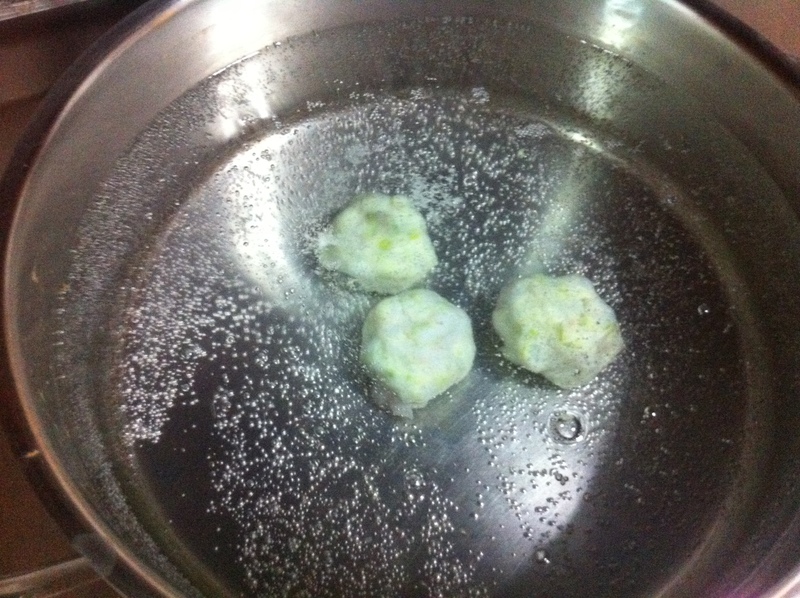 The balls did not take long to cook and float to the surface. We had the balls with our steamboat dinner and the boys, big and small, all said the balls were delicious. Total time taken to make the balls : 20 minutes. Time stated in the recipe : 10 minutes. The shortcuts helped.